THEY say when it rains, put cute boots on and jump in the puddles. But two French tourists had something else in mind when downpours in Airlie Beach put a damper on their travel plans last Wednesday. 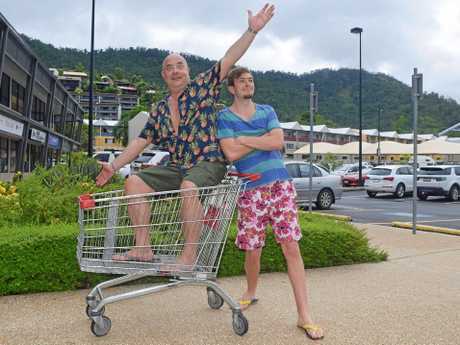 Father and son duo Charles, 54, and Constantin Malka, 23, were spotted taking a whirl in a shopping trolley in the Whitsunday Business Centre carpark. In other words, Charles was in the trolley - Constantin was doing the legwork. Charles, a Parisian cardiologist, and Constantin arrived in the Whitsundays on December 30 as part of a three-week Australian holiday. 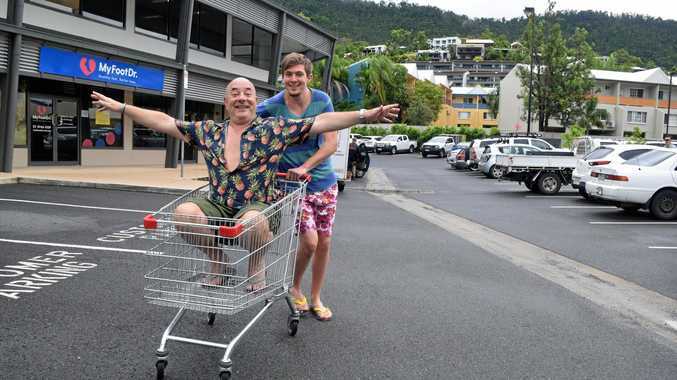 But when rain from ex-Tropical Cyclone Penny washed away any hope of a day on the water, the fun-loving pair found a rogue shopping trolley and went "sailing” around the carpark instead. Charles said it wasn't unusual for them to do "crazy things”, but it was the first time a shopping trolley had been involved. 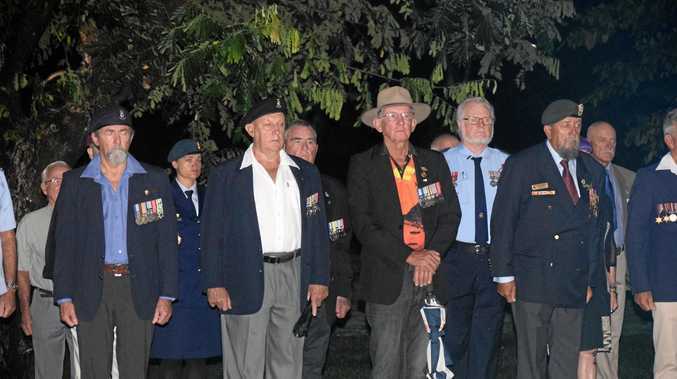 "We just decided to make the most of the Whitsundays, because it's raining, so there is not a lot to do here. So when I've seen the trolley I said 'okay, let's do it! ',” he said. Charles said his international driver's license was stolen two days before they left France. "Normally we make a road trip, but I couldn't rent a car so...we go by trolley!” he said. Cruising around the carpark with arms spread wide and a solemn facial expression, Charles re-enacted the iconic Jack and Rose scene from Titanic, much to the amusement of passers-by. He and Constantin were applauded, given a few thumbs up and received a lot of laughs from passers-by in true blue Aussie style. It's not something you see every day, but if life gives you a rainy day and a shopping trolley, you might as well make the most of it.